The Art of Realism. The Power of Passion. 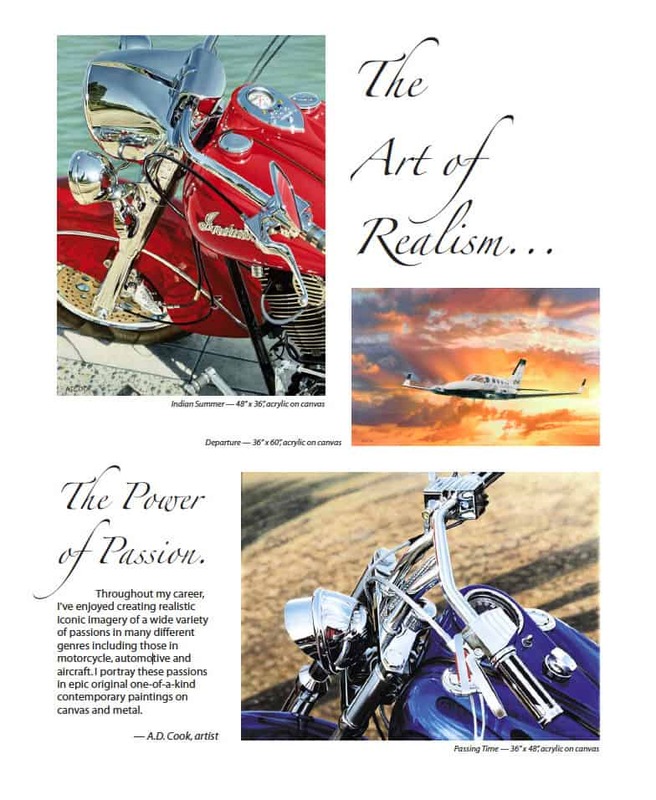 Throughout my career, I’ve enjoyed creating realistic iconic imagery of a wide variety of passions in many different genres including those in motorcycle, automotive and aircraft. I portray these passions in epic original one-of-a-kind contemporary paintings on canvas and metal.